Pipa the Latest: journal of a messy crafter: Night: owned! 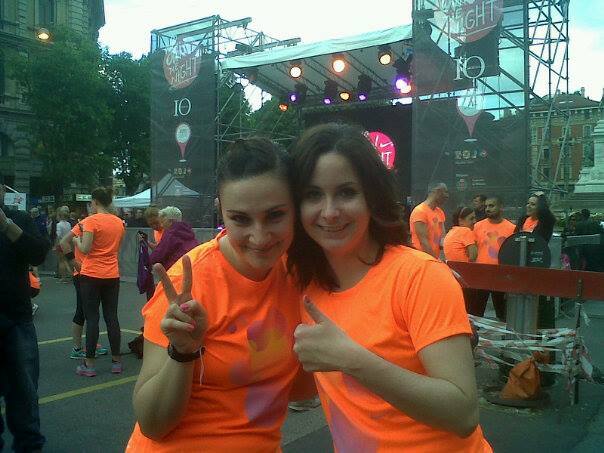 It's the first time I partecipate to some kind of marathon, and let me say how amazing it has been as experience and how well it was organized. 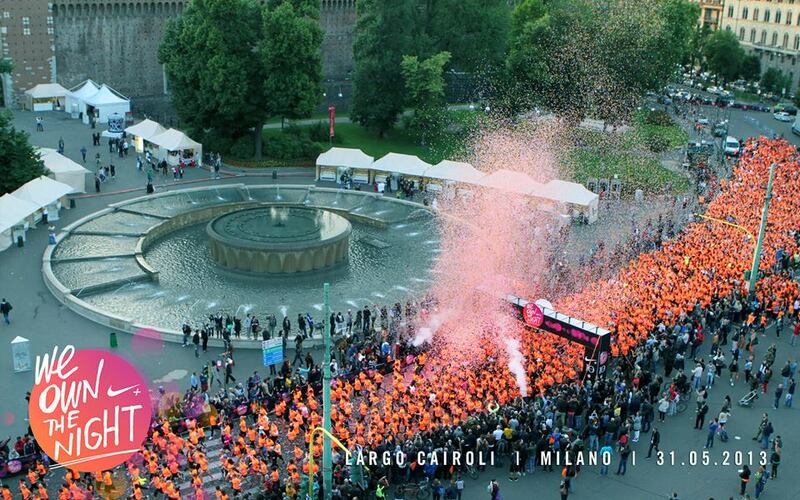 So exciting, we were 4000 women in neon orange, running together through the gorgeous scenario Nike had prepared for us, so suggestive, full of colors, music and people rooting for us! I had never liked Milan so much! We ran through one of the most beautiful parks, then between the most state of the art skyscrapers, passed through the Arco della Pace and got a chance to enter inside the Arena Civica. A lot of people were cheering us up, kids high fiving us, guys clapping hands and taking pics. We didn't think we were going to finish it running, but we did and in less time than our expectations. Thanks to my friend who ran with me and gave me the strength to run the last 1,5 km!!! Wow. That must have been amazing. Thank you for sharing. ... ma poi corri pure? Bravissima... grazie per aver visitato il mio blog!